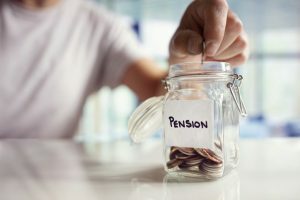 Since the introduction of the new workplace pension laws in 2008, there have been various measures implemented to aid workers with building up a pension fund for retirement. One of those legislations is the Auto- Enrolment Scheme. This allows employers to workers in a workplace pension pool. When the laws were introduced in 2008, the original aim was for all UK businesses to provide all employees with a workplace pension, in the case that they are eligible for the scheme. At TFMC Farnborough, we understand that auto-enrolment is a time consuming and complicated subject. That is why we at TFMC offer Auto Enrolment Farnborough. Auto-Enrolment Farnborough: When are your Employees Eligible for Auto-Enrolment? There are a few clear rules to determine whether or not your workers are eligible for the auto-enrolment system. A person will be Eligible for auto-enrolment if he/she is at least 22 years old and below state pension age, works in the UK, and earn more than £9,440 a year. The worker will be automatically enrolled. A person will be Non-Eligible if he/she works in UK, is aged at least 16 years old and below state pension age, and earning between £5,668 and £9,440 a year. You can earn more than £9,440 if you’re between 16 and 22, or between state pension age and 75. Non-eligible workers will have a right to opt in but will not be automatically enrolled. A person will only be ‘Entitled’ to join a pension scheme if he/she is a worker who ordinarily works in UK, is aged at least 16 but under 75 and earns £5,668 a year or less. In this case, the employer is not required to make contributions towards their pension. Your employees have the right to opt-out at any time, no matter if they’re eligible for the scheme or entitled to opt in. Staff assessments to determine the category of each worker. Managing all contributions and correctly timing these payments. Call us today for more information on how we can help you build a better retirement for your employees.